This cigar is weel made, it burns nice and has a medium to full flavor. I have purchased them from bop before and will continue to do so......AND.....you cannot beat the price!!!!! I have purchasing the 6" - 7" for some time. They were out of stock and had to get the 5" smoke. Just aren't the same. Uniform burn but, the flavor isn't there? I am half way through the bundle and am considering throwing the rest away. Hurry up the shipment of the longer smokes. 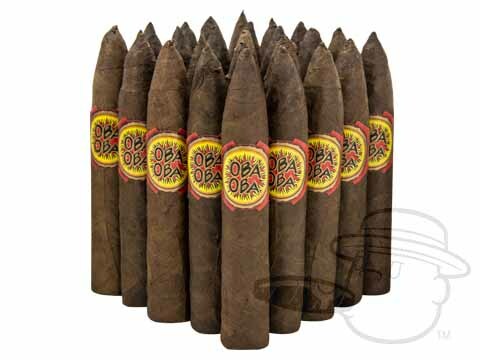 Oba Oba Torpedo 5 Maduro - By Perdomo is rated 4 out of 5 based on 7 customer ratings.